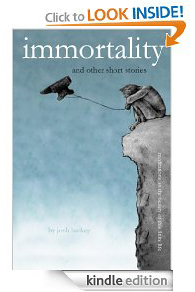 First: today is the last day you can pick up IMMORTALITY for free. Do it. Second: an interesting resource for those looking to watch Films with Substance -- an online compilation of movies with Spiritual Depth. Check it out HERE. Third: I'm really bad at math. Seriously. Anything with numbers, I just can't do it. It's a problem.